I attended the State of the Browser conference on Saturday 19th March 2011. The event was organised by London Web Standards and was held at Ravensbourne – adjacent to The O2. The Twitter hashtag was #lwsbrowser. The day was badged as an event for “anyone with an interest in creating content for the next generation of browsers”. It focussed on the newer technologies like HTML5 and CSS3 and how they interact with the browsers that we’ll all be using moving forward. There were sessions from each of the main browser suppliers set out their stall. Unfortunately Martin Beeby from Microsoft was unable to attend – it would have been good to have his perspective too. In the afternoon there were breakout sessions with a choice of presentations. This created the age-old problem of which ones to miss – I wanted to be at all of them. The event was really useful and informative and I came away really energised about the future of website development and itching to try out some of the stuff I’d learned about. This is my brief write-up of the day. Michael Mahemoff (@mahemoff) from Google started off by talking about Chrome and related services. He stated that Chrome was built to be as fast as possible and to keep out of users’ way as much as possible. He touched on useful newer features that would allow the tabs within Chrome to talk to each other, and how you can add speech recognition to your form elements with the x-webkit-speech property. He outlined the various useful developer features of Chrome which allow you to monitor all aspects of web pages – database states, download times, css properties, debugging and more. All accessible by selecting the ‘Inspect element’ option. Michael mentioned Chrome extensions and the support available for creating your own extensions. Also, the Chrome Web Store which offers a way to sell your own apps. He even referred to the Chrome Frame plugin that is available for IE6 – IE8 that enables those browsers to use HTML5, CSS3 and other newer web technologies that are not natively handled. Next up was Paul Rouget (@paulrouget) of Mozilla to outline where the Firefox browser was going this year and in the future. 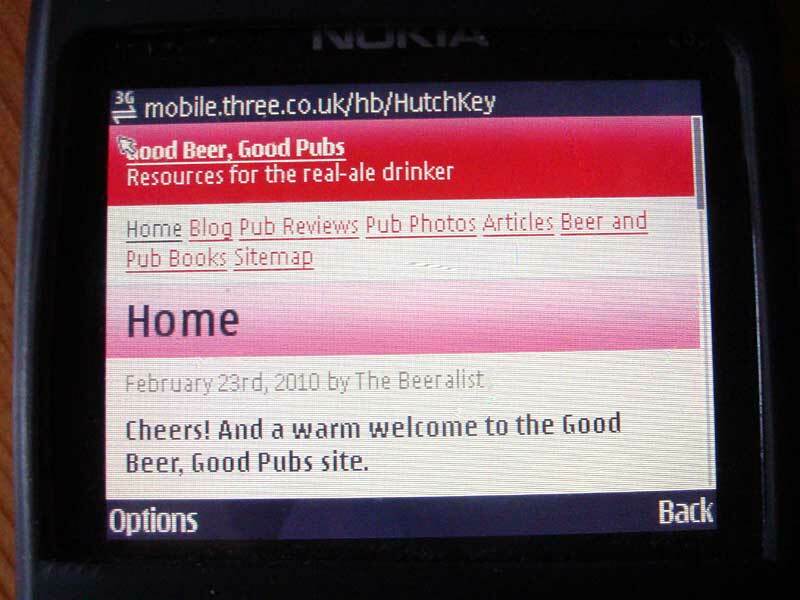 One of the early items of news was that Firefox is available for mobiles too now (Firefox Mobile) – but unfortunately not for my Nokia phone at the moment though. On versions, Firefox 4 is out imminently. 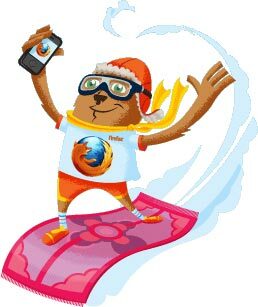 Mozilla are abandoning sub releases from now on, so expect to see Firefox 5 this summer and Firefox 8 before the end of 2011 – which will include web sockets (WS) and Server Sent Events (SSE). Chris Mills (@chrisdavidmills) of Opera was on first after lunch to talk about Opera and some aspects of HTML5 – natably the new form controls that are available to make developers’ and users’ lives easier. Chris reminded us that Opera can run on older operating systems – useful for developing areas of the world that run on kit that we in the developed world have already discarded. Opera is supporting many features of HTML5 now including canvas, video and offline apps. It supports the WebSql database which runs in the client and Web Storage – an advanced version of cookies. Google’s webP image format is also supported too. For the rest of his session Chris talked about the new HTML5 form controls that are supported in newer browsers. Too numerous to list here they are more geared up for real-life web forms than the existing HTML 4 form elements and feature built-in client side validation and error messaging (up to a point). Non-supporting browsers will usually fall-back to older style controls – but I’d want to test that. Whilst these new input elements are great, I do have concerns that there is a risk that web accessibility might be compromised if they are used extensively too quickly – but more of that later. Rob Hawkes (@robhawkes) gave a speedy run through of HTML5 canvas – the new way to construct and handle graphics on the web. Rob showed us a number of application of canvas including graphing and animations for games. He talked about the future of canvas – 3D is on its way. Some good things to try out here. This talk given by Matthew Staikos of BlackBerry (@BlackBerryDev) was really useful and presented a detailed guide on what to do (and what not to do) to enable your website or web application to be displayed in a usable way by mobiles. There were lots of considerations here that were not immediately obvious – things like how to protect your users’ battery life by avoiding timers and cpu hungry processes, and the non-availablity of hover states on touch devices. Other CSS properties like position:fixed can cause issues with scrolling – forcing a screen refresh every time. Frames and other areas of the page that require scrolling (div, iframe) can also do this. Screen sizes are obviously smaller in mobiles and suit small pages with transitions. Remember that some mobiles allow rotation – so cater for that. Input areas need to be large enough to enable users to be precise with their fingers. Another thing that happens with mobiles is that the signal can disappear so be prepared to monitor offline state and cache as much as possible to allow your apps to work offline. HTML5 and CSS3 actually help as using them requires less download and extra processing. More information at: Blackberry Developers Pages and blog. The panel session closed the event and consisted of a series of questions submitted during the day. I asked a question about accessibility and HTML5 – voicing my concerns that although the uptake of HTML was very desirable with the better structure and new features there was a real danger that the web might move backwards on accessibility in the short term if features are not supported in screen readers or other assistive technology. It’s easy to upgrade your browser for free but that is not always the case with assistive technology. For example: a copy of JAWS can set you back $800 or so and upgrading still costs a lot. Chris Mills assured us that accessibility was well catered for with HTML5 and that screen readers such as NVDA were free to download. I hope that NVDA improves soon to enable use with other apps than just a browser – something that JAWS is better at. After the end of the panel session we all emerged blinking into the bright sunshine to mingle with the X-Factor crowds before heading off to the nearby Pilot Inn for some refreshment. I want to thank the organisers for a superbly entertaining and informative day. I now have so much extra research to do it’s scary. A post rounding up all the useful links from the day will follow soon.